Did I make you feel a bit stressed? If so I apologise, that’s the last thing on my mind. In fact I’m hoping that you might even take a little bit of inspiration from my premature Christmas madness in January 2015. I realise that many people only put their decorations away in the past week. My tree finally went back to the attic on Tuesday and the outdoors lights have been switched off. They will get put away as soon as my hubby gets a chance to get out on the ladder and remove them. It’s probably not such a good idea if I go climbing about the place after hurting my back before Christmas. As soon as the 1st of January passed though I started planning for Christmas 2015. That was the point at which decorations went below half price in the supermarket and I used a small amount of money I’d set aside to pick up some new decorations for next December. They didn’t even make it to the tree. I promise. I also picked up rolls of wrapping paper on discount. Again, they stay in the cellophane and go straight to the attic. From a spending point of view, that’s pretty much me done until October so don’t worry I won’t be harping on about Christmas for the rest of the year! The next thing I do is I get myself a couple of savings stamp booklets in the major supermarkets. I’m not fussy as I have plenty of time to fill them over the next 11 months or so. Tesco, Dunnes Stores and SuperValu all have savings stamp booklets so they will sit in my handbag in an envelope to keep them protected. When I go shopping in these three supermarkets I’ll do my best to bring cash with me. If I have any spare change left over at the end of the shop I’ll convert it into Euro coins and get savings stamps at the machines which are normally located at the back of the store, behind the cash registers. As I’m a Tesco clubcard holder, I’ve signed up to the Christmas savings scheme. This means that: (1) I don’t get any clubcard voucher mailings through the year, they all get converted into vouchers in November. (2) I can put cash on my clubcard for the savings scheme at the register so long as I swipe my clubcard. (3) The only way I can access this cash is in the November Christmas clubcard mailing. Any extra coppers and small change at the end of the day is decanted into a large bottle. We use this bottle to save for a rainy day fund, as a rule we don’t dip into it unless we absolutely need it. I keep bank branded money bags. When it is time to count up the bottle, I carefully measure the coins into the right quantities then bring the bags to the bank for lodgement. The bank doesn’t tend to allow a personal customer to do this more than once or twice a year without charging a fee. It’s cheaper to do this than using a loose change machine though, as they can charge as much as 20% of the value of your loose change. I know which I’d rather do! If you are going to use a money box then I highly recommend a tin can variety. They cost between €1.50-€5 in discount stores. The only way to open these boxes is to use a can opener so you’re less tempted to dip into your savings. I use the tin can for spare €1 and €2 coins, sometimes if I’m lucky I’ll fit a fiver into it. I suppose it’s the same idea as freezing a credit card in a block of ice to stop yourself using it unless you are motivated enough to melt the water. The reason why I’m planning Christmas 2015 already is that I don’t want to be caught short. I don’t want to be in a position where I have to put Christmas presents on the credit card (which is effectively borrowing). By being smart and saving a little bit in different ways every week for the next 48 or so weeks; I can ensure that I have the money for some lovely Christmas food, presents and clothes for everybody in December this year. I’ve been doing this for years. I’ve saved a little bit every week; at every shopping expedition I put away a small amount into savings stamps and vouchers. Maybe it’s something you might like to consider? It takes the stress out of having to come up with a large sum of money all at once without having to come up with a minimum amount to lodge into a savings account. The smallest amount you need to save with the stamp system is €1 and the smallest amount to save in a bottle or a tin can is 1c. The boys like the idea of filling up the bottle and tin can, they love helping to stick the stamps onto the booklets, and they understand that if you save a little bit you’ll get larger things. Believe it or not the Sammy Squirrel savings booklets in Post Offices are still going strong! Here I am squirrelling away the first full week in January and it’ll pay off in spades come December. All these little savings caches will be raided will yield different amounts of money. How do you save up the cents/pennies? Note on Supermarket Savings Schemes: I’ve not mentioned Lidl and Aldi above because they don’t have a savings stamp system. However, you can buy a minimum shopping voucher of €10 at the till in Lidl, making it an option if you have a tenner free at the end of the shop to buy one up and put it aside for December. Aldi unfortunately do neither (I have checked). I never knew Lidl did vouchers, you learn something every day! I did the 52 week savings scheme last year but instead of sticking to set amounts I just put whatever I could into it, I saved enough for a camera I’ve wanted for a long time 🙂 I do the Tesco Christmas Saver too, it’s brilliant. Bought our printer this year from 1c, 2c & 5c coins in a tin! It’s a great feeling. Great tips! Cheers S! Yeah I never have enough for that 52 week saving challenge especially towards the end of the year. This way I can just pop whatever I have into the right place when I get it. Well done on your savings last year. Here’s to a great 2015! That tesco Christmas thing! I never knew you could do that. I think I might . 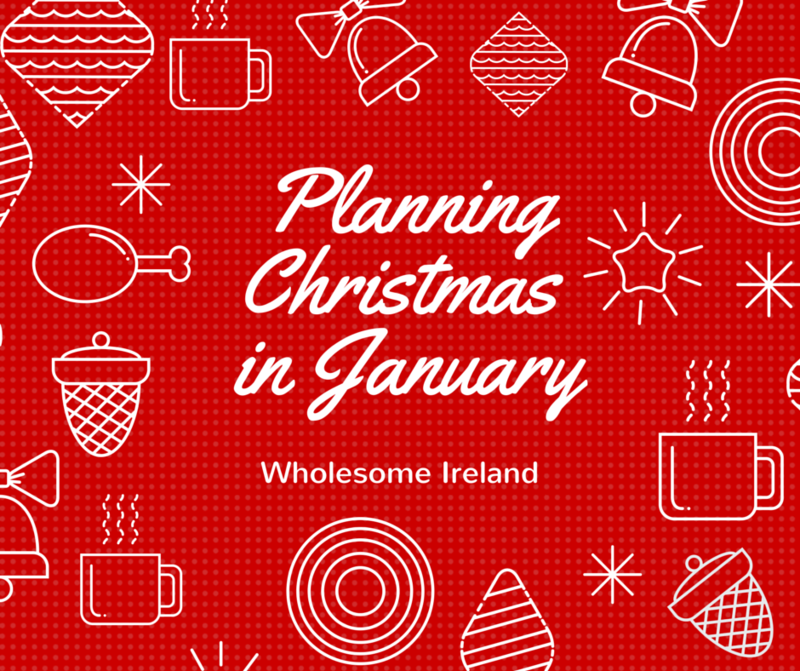 Will only work ot about €30 in November but still that’s wine and nibbles and chocolate ! I know right? I discovered it 2 years ago and it has been fantastic. Love it. I have tin cans all over the place! They’re great! And now I am off to switch my Tesco’s over to the christmas club. Thanks for the reminder!!!!! It gets frittered away otherwise. Does anyone know of a new Christmas club you can just topup online. I live in the country so that would make life easier for me. I’m not sure Gloria but have you checked your local credit union?